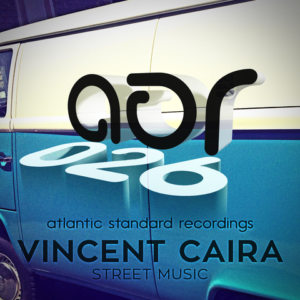 Dropping his inaugural release for Atlantic Standard Recordings with this impressive two track single, Toronto’s Vincent Caira brings a determined and distinctive sound that walks the walk. The sounds of sunny summer days of the 70s shine right out through the speakers with Vincent’s funk and disco flavour, punctuated with soaring horns one minute, then all smoothed out with an ensemble orchestra the next. These tracks both drive a steady pulse using heady drums with crisp hats and handclaps, sure to raise the hands of any dance floor to the roof.